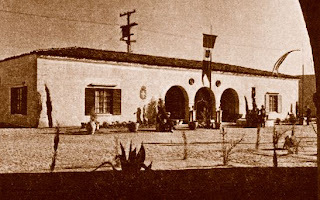 Located on the south side of the Pacific Southwest Exposition's Avenue of Nations, next to the Persian Building, the Italian Building was designed in a simple rural-style, with a triple-arched entrance portal and a tiled-roof. 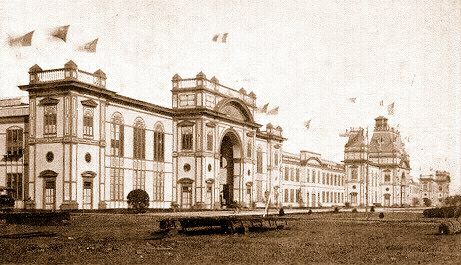 The interior of the building contained a variety of rare Italian arts and antiques, and was divided into two sections: the Hall of Caesars, and the Hall of Canova. The Hall of Caesars contained displays of ancient Italian coins, sculptures, and furnishings; while the Hall of Canova's exhibits consisted of tapestries, paintings, and ironwork.